Happy Word Art Wednesday everyone! 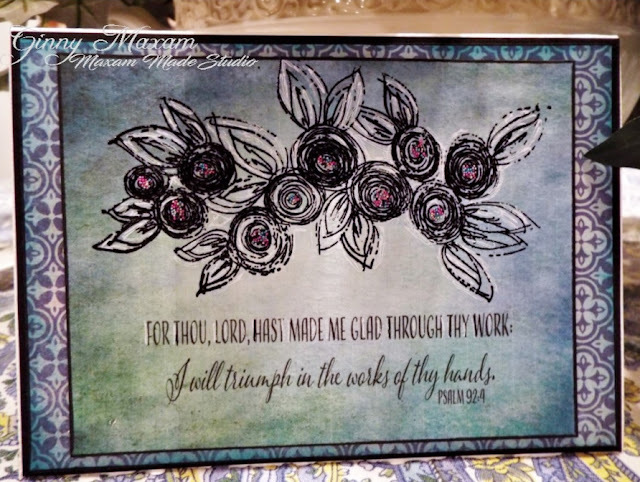 I hope you stop over to the blog and join in the fun, This week I am writing the devotion and we have another another beautiful bible verse digitized by Karen Murray! Our Sponsors this week are 'Neat & Tangled and a $25.00 Cutting Cafe (digital) Spree! This week I have made my card using Heat embossing with a wonderful Magenta stamp, Digital background from Gecko Galz and this weeks digital sentiment by Karen Murray and Tim Holtz patterned paper. I truly love this verse - for the Lord has made me glad! I love sharing His beautiful word through the art of card making and then using that to encourage those that know Him and those that need Him and that would be everyone! Thanks for stopping by and I hope you stop over to the Word Art Wednesday Blog and join the fun!